An estate plan is a collection of documents that tells everyone what you want to happen to your estate (i.e. your money and material possessions) when you die. A good estate plan also tells everyone what you want to happen if you are still alive and unable to either manage your estate or make your wishes known (for example, if you are in a coma or have dementia). Convenience: There is a lot to consider, and many decisions that need to be made. Hiring an expert makes the process much simpler; an attorney can explain what options and resources are available, guide you through the decision-making process, and take care of all the paperwork, including putting your house into the trust. Peace of mind: Creating your own estate plan can be a scary process – what if you missed something important that will make your plan difficult or impossible to carry out? The involvement of an attorney ensures that you will have a tailored estate plan that will carry out your wishes. Kelley’s estate planning practice helps her clients prepare for the future with a personalized plan that meets their specific needs. She ensures that their wishes are made known, so their loved ones do not have the additional trauma of figuring out what to do with finances and personal property in the event of death or incapacity. Kelley, thank you for seeing us through the entire process of Wills, Estates, and Trusts. We enjoyed your friendly and helpful attitude as well as your efficient and timely responses to questions we discovered as we went along. We will be back in touch for updates and we have already mentioned your services to one of our friends. Please feel free to mention our satisfaction if asked. My husband and I had the pleasure of meeting with Attorney Kelley Way to do our Estate Planning (living trust and will). Kelley was very easy to talk to, explained any questions we had. Kelley was very organized, professional and made this whole process so easy. I would and will highly recommend her services. Estate planning can seem like a daunting task, Kelley made it simple and clear. If we knew it would have been this seamless we would have done it much sooner. My wife and I had Kelley update our trust and wills. Dealing with attorneys can be difficult, but Kelley made us feel very comfortable. Kelley took the paperwork that we had and asked all the right questions to sort out what we wanted and needed updated. My wife and I are ones to drag our heels doing some types of tasks, and this was no exception. Kelley kept gently reminding us that we needed to do certain things, and provide different paperwork, and generally kept us on track. It felt like she cared that we got our trust updated and were pleased with the final result. I would recommend Kelley to anyone who needs any sort of services that she provides. She definitely puts the client first. We appreciate the excellent communication and efficiency in getting our estate planning done in a timely manner! Kelley was very easy to work with and I appreciated all the detail and explanation given when asked. She was thorough and covered all areas needed to complete my entire estate. Thank you very much! You’re very thorough, willing to answer in depth, any questions I had. You were willing to come to my house, which helped a great deal. As I am recovering from a stroke it would have been burdensome if I had to travel to your office. You were able to complete my Trust quickly, only held back by my slowness. You are very patient. Your follow through on the entire process is definitely a strong point. It was a pleasure working with you on my trust. It was a pleasure working with you. If anyone I know could benefit from your services, I will be sure to give them your name and my highest recommendation. Thank you very much for your assistance. My experience in working with Ms. Way met all my expectations and I was pleased that her professional fee was very reasonable. She has a straightforward, no nonsense manner and I appreciated that. I am very happy to recommend her estate planning expertise. Creating my will was a totally comfortable experience. I never felt pressure of any kind. I would recommend Kelley to anyone. Excellent attorney; knowledgeable and very helpful with sensitive and difficult issues. Cannot recommend her highly enough – very pleased. I would highly recommend Kelley Way for your legal needs. She is professional and very knowledgeable. Kelley walked us through setting up a trust fund for our family. She made it easy and explained things in a simple and easy way. We will definitely be recommending her to friends and family as well as using her again in the future. We are very pleased to have found Kelley for our estate planning needs. Being concerned that we would find the right attorney to properly prepare and handle our legal documents, we came away with complete confidence that we made the right choice. 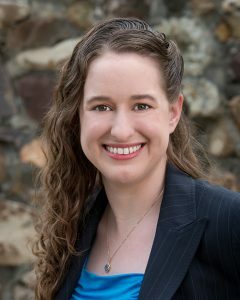 Kelley is very professional and her helpful counsel and patience in explaining and handling legal matters made for a smooth and pleasant experience. The process was very timely and efficient, and the completed documents are housed in organized paper and digital formats with clear instructions to coach us beyond the completed process. It’s nice to have the peace of mind that these important papers are all in proper order. We gladly recommend Kelley for her professional legal services. Kelley is professional yet patient. She thoroughly went through all possible scenarios and covered them for us. After a year of serious health problems, I needed help setting up a trust. Kelley’s patience, professionalism, and efficiency went a long way to putting my mind at ease. She addressed all my concerns and proposed a solution that suited my situation to a T. I was so pleased I referred a friend to her. I look forward to working with Kelley in the future. I’m grateful that my husband and I chose to work with Kelley Way. From the first point of contact, she was very professional. I also appreciated her warmth and patience throughout the whole process. I would definitely recommend Kelley for services to friends and family. Kelley is reliable and very good at what she does. We appreciate Kelley very much as she was assisting us with our Living Trust. She communicates well, and always seems to have the answers we are seeking. She always also responds quickly when we email or leave voicemail questions.